uta frith | Tania A. Marshall, M.Sc. This is the first in a series of interviewing professionals in the area of Autism, Aspergers and related conditions. 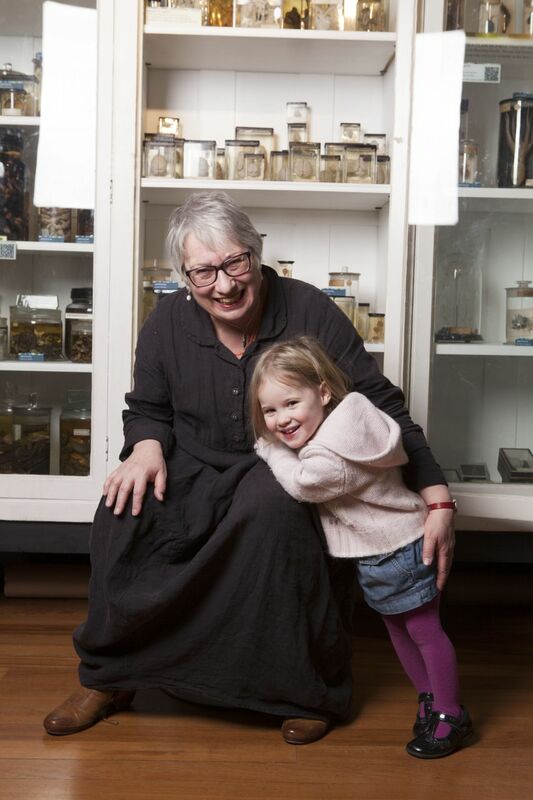 It is with great honour that I was given the opportunity to interview Professor Uta Frith. Tania: Welcome Professor Frith and thank-you for agreeing to an interview with me. I am honoured to be interviewing a world expert on autism spectrum conditions. What attracted you to make a career in cognitive neuroscience and Autism? Professor Frith: In the 1960s, when I started out as a PhD student, autism was hardly known and cognitive neuroscience did not exist. I had now idea that my career would take me deep into these mysterious directions. I suppose it was the very mysteriousness of autistic children, which attracted me to study them. I was interested in development because I had been very impressed by lectures on Piaget by Ernst Boesch, Professor of Psychology at my University, Saarbrücken. Also at that University I was able to attend amazing Ward Rounds where different psychiatric cases were presented. This experience made me very curious about the mind and what was normal and what abnormal. I naively hoped that studying children at young ages might bring me closer to origin of the mind. I was very fortunate to train in Clinical Psychology at the Institute of Psychiatry, a happening place in the 1960s, the place where Behaviour Therapy was pioneered. I intended to find a way to do research from the very beginning: It was very clear to me that we were distressingly ignorant about the mind, and that research was a necessity rather than a diversion from clinical work. Fortunately, I was able to get to get to know cases of autistic children at the Maudsley Hospital under the guidance of Michael Rutter, who was then already widely respected as an authority on autism. His PhD student, Lawrence Bartak, an Australian, and I were contemporaries and often worked side by side in the very first established special schools for autistic children. We felt that the teachers were doing a fantastic job. The children seemed remarkably similar to us, no matter what school they went to. But we often wondered what to make of those few autistic children who stood out from the others because they were not just clever but they had excellent verbal abilities. How did they fit into the picture? My mentors were the experimental psychologists Neil O’Connor, an Australian, born in Kalgoorlie, and Beate Hermelin, born in Berlin. They were pioneers of the psychological study of mental retardation. They were among the first psychologists in the world to ask whether autistic children differed in their cognitive abilities from those of other children with intellectual disabilities and whether neurophysiological measures, such as EEG, would tell us about their brain function. They were way ahead of their time. Their work opened amazing possibilities to understand the nature of autism by teasing apart abilities and disabilities. By good fortune, Lorna Wing worked next door in the Social Psychiatry Unit. 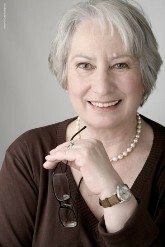 As the mother of an autistic girl, Susan, she had unique knowledge of autism and already at that time questioned Kanner’s rather narrow diagnostic criteria. She was convinced it was possible to distinguish in even the most intellectually disabled children those who had the ability for reciprocal social interaction and those who did not. I myself was not sure I could do this, and was more confident when the children had some language and showed some islets of ability. Here really was a form of autism that I could instantly recognise, a rare form as it turned out. The neuroscience of autism only started in the 1990s when it had just become feasible to use scanners to look at the signs of neural activity (as reflected in blood flow) in the living thinking brain. Here the collaboration with my husband, Chris Frith, was the vital link. Without his know-how and his expertise I would never have dared to enter this exciting field. Tania: You received your PhD in 1968. Since then, can you please comment on the changes and the explosion of knowledge and research in the field of Autism? Professor Frith: Knowledge about autism has accumulated steadily. A number of TV programmes were shown that portrayed a rather bleak view of autism, but they increased awareness. When the film “Rainman” came out in 1988, it was probably the first time that autism had been presented in an adult, and also presented as not all-bleak. It also made people aware of some very positive qualities. I don’t mean the savant skills here, although they do create permanent sense of wonder, but I am thinking of the lovely emotional naivety of Rainman that contrasted with the devious machinations of his non-autistic brother. One of the unstoppable changes in the conception of autism was the recognition of atypical cases and cases that were not learning disabled. 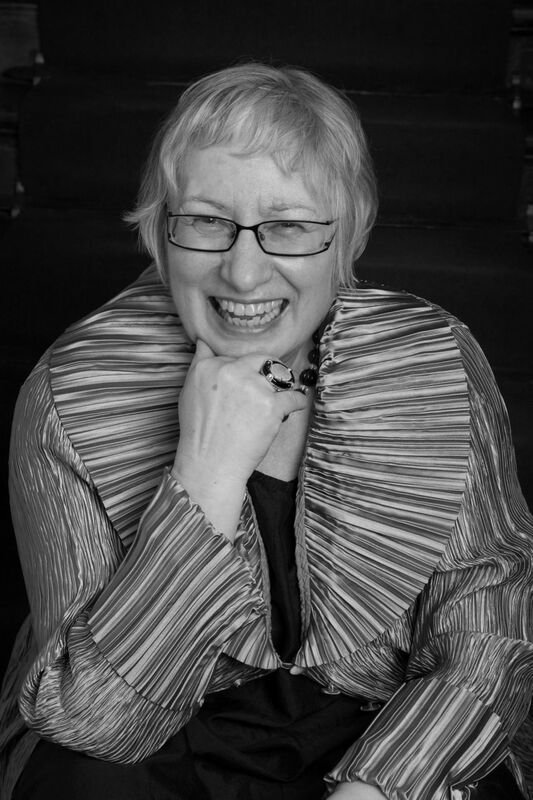 The term autism spectrum and the term Asperger syndrome had been introduced by Lorna Wing, who long wanted to push apart the narrow categories of autism. At the same time, Michael Rutter and Susan Folstein pushed apart these categories as a result of their famous twin studies. In these studies it became clear that when a narrow definition applied to one identical twin, the other twin very likely had a milder form of autism too. In fact they found that there was a 90% concordance in identical twins, if the criteria of autism were broadened. This was ground-breaking work not only because it broadened the category of autism, but even more importantly, it established that there was a genetic origin. Only then could a psychogenic origin be ruled out decisively – i.e. the idea that autism was a withdrawal resulting from profound rejection. This pernicious myth was at last eroded. One of the biggest changes in the awareness of autism, in professionals and the general public alike, was the rise of Asperger Syndrome. I edited a book in 1991, which contained my annotated translation of Hans Asperger’s original paper. It was surprising to me how eagerly it was received. One of the unanticipated consequences was that the diagnosis of Asperger syndrome became fashionable, so that a number of people with successful lives began to diagnose themselves and even famous figures from history. But being a geek and being socially inept are not sufficient. I think there is a big difference between having an autism spectrum condition and being a shy, unconventional and obsessive. The new DSM-V has abolished the diagnosis Asperger syndrome. It still needs to be seen what the consequences will be, but I tend to think this is the right move. The label served its purpose in raising awareness of the autism spectrum. There is after all general agreement that it is a variant of autism and part of a very heterogeneous collection of autistic conditions. The difficult task ahead now is to see whether it is possible to identify subgroups hopefully, in terms of neuro-cognitive phenotypes. Tania: Please tell us about Theory of Mind, the theory that you developed along with Alan Leslie and Simon Baron-Cohen, in the 1980’s. How do the brains of people with Autism and people without Autism differ in terms of Theory of Mind? Professor Frith: I think the history of Theory of Mind research needs a historian. I feel rather too involved and will not be able to give an unbiased account. In my view, the first part of the story is to do with two Austrian psychologists, Josef Perner and Heinz Wimmer, who devised an ingenious test. This test could show whether a child attributed a belief to another person, i.e. an invisible mental state, and whether the child predicted what another person would do next on the basis of the belief. It had to be a false belief rather than a true belief. In the case of a true belief you can’t tell whether the other person acts on the basis of a real physical state of affairs or an invisible mental state of affairs, because there is no difference. But in the case of false belief there is. The next part of the story brings in Simon Baron-Cohen who had started his PhD at the time and who did the first critical experiments. Alan Leslie acted as co-supervisor and had already been thinking about the importance of invisible mental states, such as ‘pretense’ in the make-believe play of very young children. This was very exciting to me as I knew from a study by Lorna Wing and Judy Gould that autistic children showed very poor pretend play compared to non-autistic but intellectually disabled children. Now I must mention Tony Attwood, who did his PhD at the same time, but quite independently, and conducted a different and most interesting study. He asked how well – if at all – intellectually disabled autistic and non-autistic adolescents use nonverbal gestures. The results were very surprising, since at the time most people expected that autistic children would not use gestures in any meaningful way. But they fitted in beautifully with the Theory of Mind hypothesis: The intellectually disabled autistic children were well able to use gestures instrumentally, i.e. to get something, but much less able to use gestures expressively, i.e. to communicate an inner feeling state. The story heated up as we did the first PET studies, with trepidation, and with a number of eminent collaborators. Obviously only very able and very brave adult volunteers took part. One of them was Heinz Wimmer. The autistic adults came from the clinic of Christopher Gillberg and Stefan Ehlers in Gothenburg and were scanned at the Hammersmith Hospital in London. Here we compared what happened in the brain when people were reading Theory of mind stories compared to Physical stories, invented by another of my now famous PhD students, Francesca Happé. When PET was replaced by MRI scanners, many more studies were carried out, and many different tests were used, frequently invented by Francesca Happé. For example, cartoons that either depicted jokes that required a mental state attribution compared to jokes that did not. Perhaps most successfully, we contrasted short movies where animated triangles interacted with each other. In some of the movies the viewer can’t help attributing mental states to the triangles, but in others, where the triangles move randomly, such ‘mentalising’ is not spontaneously evoked. Many labs all over the world have used neuroscience methods to study Theory of mind in the brain, in autistic and non-autistic people. It is still very surprising to me that one particular network of brain regions comes out again and again as being primarily involved. This network reliably encompasses regions of the anterior medial prefrontal cortex and the superior temporal sulcus at the temporo-parietal region; but there are also other but seemingly more variable regions involved. Tania: Please tell us about your current ideas and theories on Autism today, in 2013? Professor Frith: I continue to be fascinated by autism and by theories that try to explain the core features. I believe that the Theory of Mind hypothesis has had to be updated, in such a way that we distinguish between unconscious and conscious mentalising. I now believe that it is the unconscious type of mentalizing that is somehow failing in autism, but not the conscious type. Here is the problem: Why do able autistic adults who have learned to mentalize and pass all known Theory of Mind tasks, nevertheless still show the sort of interaction and communication problems in everyday life, the very problems that are supposed to be due to poor mentalizing ability. Do they not have real mentalizing ability, or is the theory wrong? A study that I did with Sarah White (my last PhD student), Atsushi Senju and Victoria Southgate, a few years ago, tried to answer this question. In this study we used anticipatory eye gaze to assess unconscious mentalizing, and this distinguished autistic from non-autistic participants. Neurotypical individuals anticipated in their eye gaze where a character would look for a hidden object on the basis of the character’s mental state. But there was no such anticipation in the autistic adults. So we can reason as follows: in everyday life fast interactions are the norm, and here the unconscious form of mentalizing matters more than the conscious form. However, there clearly are advantages to having conscious metalizing – what precisely are these advantages? New research is needed. Perhaps the most surprising part of the story of Theory of Mind is that such a complex and high-level cognitive ability as mentalizing, i.e. “attributing hypothetical mental states to others and predicting what they are going to do next”, is actually quite basic and has a signature in the brain. Tania: I am very interested in the female phenotype of Autism. Could you please tell us your thoughts on the gender differences between males and females with Autism? Clinical anecdotal evidence suggests that females are not being diagnosed until much later in life or misdiagnosed with other disorders. Could you comment on this please? Professor Frith: I believe this question has at last attracted enough attention so that interesting papers are now appearing that are trying to provide some answers. The gender difference in autism has fascinated me for a long time, but I never got a chance to study it. My favourite hypothesis for long has been that there is a special protective factor in being female and a risk factor in being male. This goes with the finding that in most neurodevelopmental disorders there is an excess of males. There are a greater number of boys who have dyslexia, or conduct disorder, or attention deficits. I wish there was more evidence as to the way autism is expressed in the behaviour of females. There is an idea that girls are more likely to conform and more likely to be compliant. I don’t know whether this is the case, or simply an expectation that is part of the stereotype of being female. In either case, affected girls would less often be considered in need of clinical help. 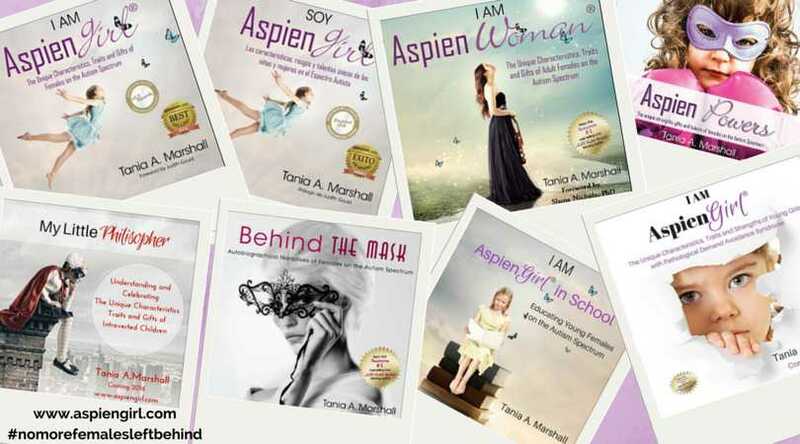 They can ‘pass for normal’ as we know from the gifted women who lucidly write about their autism. Tania: Please share with us what work you are currently involved in? Professor Frith: I retired in 2006 and have no longer a research group or students. So what I am doing is not work. At Aarhus University I am fostering a highly inclusive autism network. This is to provide a forum for discussion involving people with autism, parents, teachers, clinicians and researchers from neuroscience, epidemiology, psychiatry, brain pathology, anthropology and so on. I am hoping to facilitate research by bringing together people from these different backgrounds, who bring a refreshing perspective, and can offer new ways of answering persistent questions. I am still writing papers with colleagues, some based on work done some time ago, but fewer and more slowly, which gives me rather more pleasure. I have to confess that sometimes I am a ‘free rider’, that is a co-author who does far less work than the others. I am still very interested to read about new research and I am particularly happy if I see publications by my wonderful former students and colleagues, who are vigorously advancing the field. Apart from this I have other interests too, for example, promoting women in science, thinking about how neuroscience might provide some tools and some insights to improve education. Tania: Could you please comment on the research related to brain imaging and Autism? What are your thoughts on Temple Grandin’s brain imaging results? Professor Frith: I loved being involved in brain imaging studies. It was exciting, but we were still very much at the beginning of the development of the method, and we did all studies with rather small numbers of participants. Things have changed a lot: the techniques have improved and we can now trust them to be safe also for children. Still, brain imaging results are only as good as the experimental design that is used. More often than not, brain imaging studies are difficult to interpret because the statistical analyses of brain images is very complex and error prone. The main misunderstanding is that the blobs you see on a brain are actual signs of nervous activity. This is not the case. The blobs are depictions of statistical differences and it is hard to get one’s head around this. Furthermore, the activity in nerve cells cannot be seen directly, all we see is increases in blood flow. The rationale is that the more active the nerves are the more oxygen they need, hence the more blood is flowing in their direction. Just like behavioural studies, brain imaging studies rely on pooling together data from many trials and from groups of people, basically to remove noise in the data and thus make them more reliable. This leads me to mention another misunderstanding: You can’t take one single person’s scan and tell from this whether they are autistic. This is true even when the scan is done in the manner of an X-ray, that is, they were just lying still in the scanner and you take beautiful photographs of the anatomy of the brain. With our present techniques you can discover if there are grossly deviant features, such as tumours or injuries. This is not the norm in the case of autistic brains. But there are subtle differences when you superimpose data from many brains on top of each other to compute reliable averages. Many such studies now exist, and they always report differences in lots of places, grey matter, white matter, cortical regions, subcortical regions and so on. But we don’t know what the differences mean. The Brain image of Temple Grandin’s brain does not look like that of other autistic people. It does not like the brain of a neurotypical person either. There are so many differences that it is difficult to name them all, but these differences are very difficult to interpret. Temple Grandin during her whole life has built up a number of important compensatory strategies, and these leave their imprint in her brain. If we had an image from her when she was younger it would likely look different from now. Incidentally, most images of autistic people look perfectly normal to the naked eye. Some brains are particularly large, but then some neurotypical brains can be large too. Tania: I hear you have become Dame Uta Frith. Congratulations and a well deserved title for you. For those of us here in Australia, could you please comment on the process of gaining the title of Dame and how that came about? Professor Frith: This was a most unexpected and amazing experience, something that never ever crossed my mind. I have no idea how it came about as the process is shrouded in secrecy. Amazingly, some kind people must have believed in me and proposed me and never claimed the credit. So I do not know to whom I should show my gratitude. I have retained my German citizenship since I would have had to give it up to obtain a British passport. This did not seem right to me as my accent immediately reveals that I am German, even after 50 years of living in London. This means that my DBE is honorary. I can put the letters after my name, and I am immensely proud to be able to do this, but I should not be called “Dame Uta”, you know, just as Bob Geldof should not be called “Sir Bob”. I received the insignia from David Willetts, Minister of Science, in a special and very nice ceremony on 31st January, where I was able to invite some of my family and friends. This was also my mother’s birthday, which I thought was a wonderful coincidence. 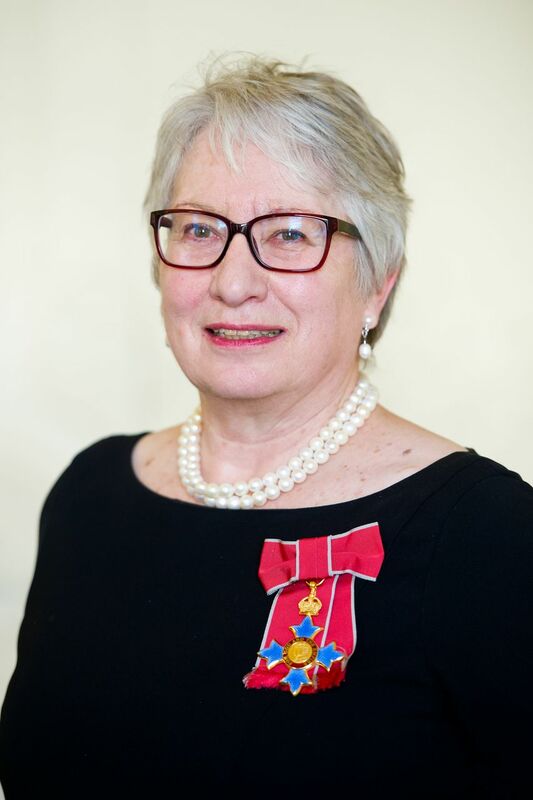 There are only few occasions when ‘decorations can be worn’, but I did wear mine recently at a special Guest Night at Newnham College in Cambridge where I am an Honorary Fellow. Tania Marshall©. 2013. Interview Professional Series. All rights reserved. Duplication in whole or part is explicitly forbidden. Thank you.